Analyze Your Customer Service Metrics With This Free Calculator. Outline your goals, and make a plan. Create a customer satisfaction survey. Choose your survey's trigger and timing. Unsatisfied customers are probably costing you a lot of money. The first step to overcoming this is to admit that you have room for improvement. The second step is to measure customer satisfaction to find out where you currently stand. Measuring customer satisfaction doesn't have to be complicated or expensive. In fact, it's fairly simple to incorporate customer satisfaction measurement into your current customer success strategy. No matter how you cut it, measuring customer satisfaction comes down to gathering customer feedback via surveys. To accurately gauge customer sentiment, we'll simply need to ask them how their experience was. Of course, there are multiple ways you can execute said survey, from the survey design to timing, sample, and even how you analyze the data. Let's briefly cover the five steps to easily measuring customer satisfaction. 1. Outline your goals, and make a plan. When embarking on any sort of campaign, it's helpful to take a step back and ask, "Why are we doing this?" In business, one must weigh the value of additional information (i.e. the customer satisfaction data) in relation to the cost of collecting it (i.e. the survey process). To be honest, if you won't change anything after collecting your customer satisfaction data, you're better off not collecting it. It's going to take time and effort, so you need to put it to use. Depending on your business or organizational capabilities, there is a lot you can do with the information. One use is simply to wake you up to the reality of any business: A portion of your customers is going to have an unsatisfactory experience. Every business faces this problem. Improve key UX bottlenecks that contribute to poor customer experience. Expedite customer support interactions with the most frustrated customers. Operationalize proactive support like a knowledge base and customer education. Test different live chat scripts and support strategies. The specific solution isn't necessarily the important part here. The important part is stepping back and saying, "If we see that a segment of our customers is unsatisfied, what will we do about it?" You can also create an action based on your segment of highly satisfied customers, by the way. Methodologies like NPS seek to segment your customers into promoters, passives, and detractors for a few reasons. One, you can get an aggregate NPS score, thus providing a health check and a longitudinal metric to track and improve over time. But two, to give you the possibility of segmenting customers based on attitudinal metrics like satisfaction. You can offer your promoters special perks or encourage them to spread the word about their business; they're the most probable people to act as your "external sales force" -- in other words, your willing and excited customer advocates. Once you've sat down and discussed your goals with key stakeholders, you need to design your survey. 2. Create a customer satisfaction survey. These are all "one-question" methods that vastly simplify the process of collecting customer insights. While you may not think the survey methodology matters much, how you ask the question does seem to measure slightly different things. For instance, a 2010 study found twenty percent of "satisfied" customers said they intended to leave the company in question; 28% of the "dissatisfied" customers intended to stay. So "satisfied" doesn't necessarily equate to "loyal." Customer Satisfaction Rating, or Customer Satisfaction Score (CSAT) measures how satisfied or unsatisfied customers are, on average, with your product, services, or customer success programming. Usually asked on a scale of 1-3, 1-5, or 1-7, your customer satisfaction score can be calculated by adding up the sum of all scores and dividing the sum by the number of respondents. Customer Satisfaction Score (CSAT) is the most commonly used satisfaction method. You just ask your customers to rate their satisfaction on a linear scale. Your survey scale can be 1 – 3, 1 – 5, or 1 – 10, and there is no universal agreement on which scale is best to use. "CSAT is a transactional metric that is based on what's happening now to a user's satisfaction with a product or service (we try and get a CSAT score within 15 minutes of an interaction). It is super helpful to improvise on the resolution, mode of delivery, channel, etc. It is ONE (not the only) of the important metrics to evaluate the performance of the support desk. In fact, we publish ours publicly as well." Customer Effort Score (CES) is very similar, but instead of asking how satisfied the customer was, you ask them to gauge the ease of their experience. You're still measuring satisfaction, but in this way, you're gauging effort (the assumption being that the easier it is to complete a task, the better the experience). As it turns out, making an experience a low-effort one is one of the greatest ways to reduce frustration and disloyalty. NPS asks the question, "How likely is it that you would recommend this company to a friend or colleague?" This attempts to measure customer satisfaction but also customer loyalty. In doing so, you can come up with an aggregate score, but you can also easily segment your responses into three categories: detractors, passives, and promoters. You calculate your Net Promoter Score by subtracting the percentage of Detractors from the percentage of Promoters. "NPS is consumed by various different teams to drive retention, sales, product improvements & advocacy. Some important things to consider would be the channel it is delivered (e.g. email, in-product, phone, etc. ), the frequency of delivery (may vary from business to business, ideally a 6 months gap should be good), and the target audience within the customer base (e.g. personas like influencers, decision makers, users, etc.)". The above three are commonly used and simple, but that doesn't cover the scope of customer satisfaction surveys. Depending on your goals you can also send longer email surveys. Really, you can customize it to your desires (just remember that shorter surveys tend to have better completion rates). In general, don't ask questions if you won't do anything with the information. Still, sometimes longer surveys can be useful. You can, of course, use more than one methodology, as well (since they all measure something very slightly different). "We take CSAT And NPS very seriously both independently and in conjunction since a single measure alone won't show the true picture of why customers are detractors or promoters (NPS) or why you have a lesser than expected CSAT. CSAT in conjunction with NPS help with a very targeted approach & often are more accurate indicators to spot an advocate or a customer at-risk. For example, a customer that has had 3 continuous negative CSAT scores over a period and is also a detractor on NPS would be an immediate at-risk customer, while a customer with positive CSAT and a promoter on NPS are potentially the best source of advocates & candidates to cross-sell/upsell since they already have seen the value in their interactions with the process & product." In addition, I recommend always appending a qualitative open-ended question, regardless of the customer satisfaction survey you use. Without an open-ended question, you risk limiting your insight into "why" the dissatisfaction may be occurring. Qualitative user feedback can give you tons of ideas when it comes to implementing solutions. "Qualitative data is the nirvana many of us are searching for, because it what provides us with the most human version of customer satisfaction but with the added benefit of scale and replicability. To be able to unbiasedly, capture and track qualitative data helps - especially a scaling business - to quickly ascertain where it should focus, both in terms of product support and development." 3. Choose your survey's trigger and timing. This step is all about to whom you send the survey and when you send it. If you go back to your goals outline, this shouldn't be too hard to determine, at least strategically. People tend to forget this step, though, but it's of crucial importance and affects the quality and utility of your data. 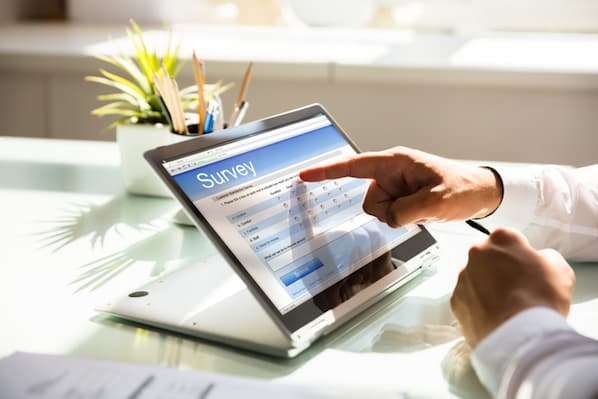 Tactically, you can trigger a survey pretty much anywhere at any time and to anyone nowadays, but strategically, it matters specifically when and where. "Although there is no "one size fits all" approach to customer satisfaction surveys, there are 3 factors that every company should consider before surveying: What event or action took place before you asked for feedback (these can be time or action based events like completing your onboarding campaign), the time since your last survey to the customer, and is your team's ability to reply to feedback in a timely manner. 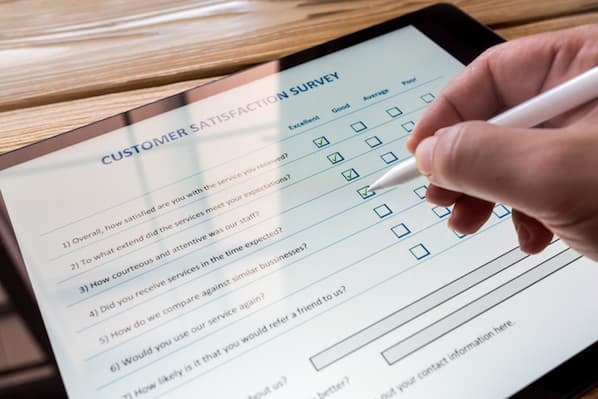 Surveying too often will result in low response rates, we recommend a customer satisfaction (NPS) survey seven days after signup, 30 days after the first survey and every 90 days during the customer lifecycle." The closer the survey is to the experience, the better. People forget how they felt the longer you wait. Who you survey changes what insights you get. If you survey website visitors about their satisfaction, the respondents are anonymous and may be a customer -- or may not be. This will bring you different data than sending an email to recent customers will. Keep that in mind. You should survey your customers more than once to see how things change longitudinally. Especially if you operate a SaaS company or a subscription service, regular NPS surveys can help you analyze trends both at the aggregate and individual level. Survey people after a key moment of their customer journey. If a respondent gives you a high score, think about adding a follow-up ask. For instance, Tinder asks you to rate their app in the app store if you give them a high score. Each of these may require a different software or tool. For instance, Usabilla or HotJar specialize in triggered in-app surveys. But if you're sending post-purchase surveys, you may need something that offers a web interface, like Typeform. 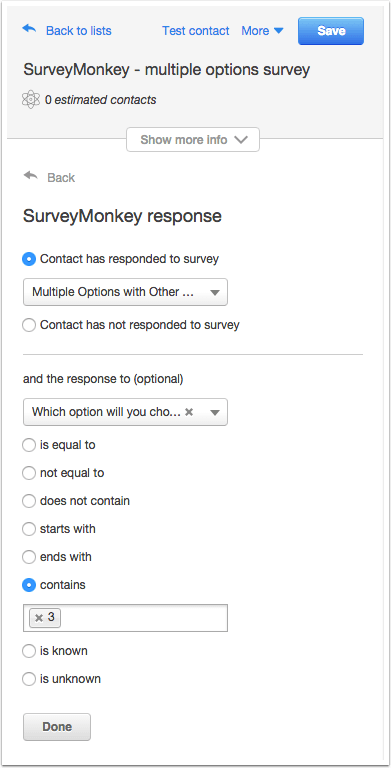 Email surveys can usually be performed with any survey tool, like SurveyMonkey or Google Forms. "The best time to trigger/send a customer satisfaction survey is after a meaningful part of the customer lifecycle is completed. 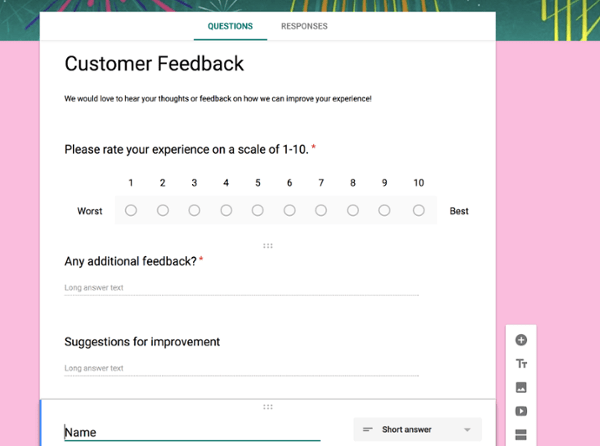 For example, sending a satisfaction survey at the end of the customer's onboarding will help you capture valuable feedback on how to improve the onboarding experience. At this point, the customer likely has made up their mind on whether or not your solution solves their problem and if it doesn't, you need to know ASAP. Another checkpoint to send a satisfaction survey is 6 months before renewal. The reason I like the 6-month mark is that it gives you enough time to act on the feedback before you get into the renewal phase. You can always do something about a problem that you know about but you can't do anything about a problem you don't know about." "I recommend surveying in-app and on a rolling basis. This will keep the constant feedback loop going. The technology available makes it easy to manage this. This way you're getting a sense of people's feelings when you're not releasing products, or doing anything. Most companies do it after releasing features or on a controlled schedule, which will influence your responses." 4. Analyze the survey data. Once you've collected your data, make sure it doesn't just sit there dormant and unused. You've got all this customer insight, and it's just waiting to be uncovered! Depending on the format you used, this could be a simple process or one that requires a Ph.D. in statistics and survey design. As I mentioned before, calculating Net Promoter Score (NPS) is straightforward. You just subtract the percentage of Detractors from the percentage of Promoters. Most NPS tools give you the ability to easily segment respondents based on their category as well, and they usually integrate with products where you can take action based on that category. For instance, if you're a HubSpot user, you can easily integrate with your survey tool of choice to trigger emails based on survey response score. If you have a one-question method, simply use the analysis recommended by the methodologies creators. You can usually find this info simply by Googling the survey method + how to analyze (e.g. "how to analyze CSAT"). If you have open-ended questions, you have a whole new world of analysis to enter (a more time consuming one, but ultimately more valuable). 5. Make adjustments and repeat. Back to my first point: Now that you have these insights, what are you going to do about it? Ultimately, this is a personal decision that will reflect your own findings and capabilities. You may find that a whole segment is dissatisfied because of a particular experience. In that case, you may need to further investigate why that experience (or product) is causing dissatisfaction and run experiments to try to improve upon it. You may find that you have a small percentage of super fans. Now that you can identify these people, perhaps you can work with your customer marketing and customer success teams to plan advocacy programs. The possibilities are endless, but it all starts with accurately measuring customer satisfaction. But asking for scores is only a part of it -- make sure you're creating conditions for customers to leave you high scores, too. 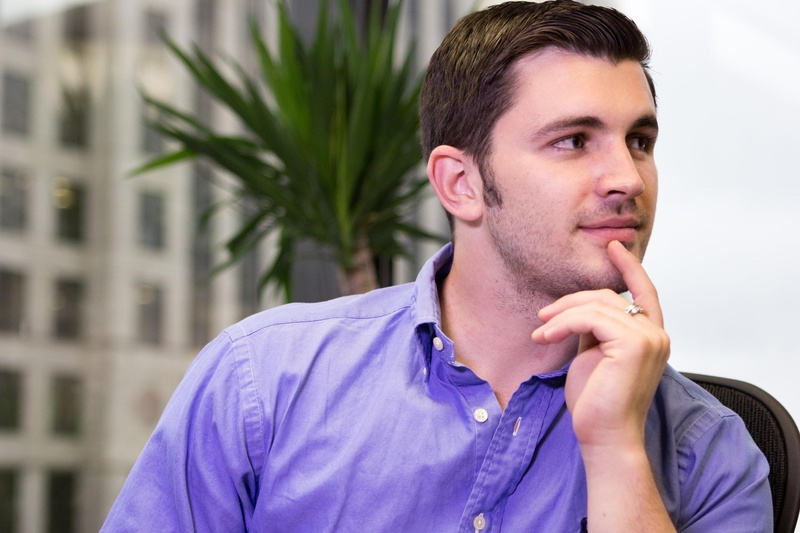 Check out the HubSpot Customer Code and these tips from other companies for more ideas. Make pricing open and honest. Help onboard new customers with blog posts, how-to videos, a knowledge base, and 1:1 or classroom onboarding. Offer 24/7 customer support across a wide variety of channels. Build digital and in-person communities for your customers to learn from and network with each other. Host in-person and digital training and networking events for customers to continue to learn from you. Make it easy enough for customers to change or cancel contracts or subscriptions with you. Create customer loyalty programming or rewards. Ask for customer feedback on a consistent basis, respond to positive and negative comments, and prioritize feedback that recurs among many customers on a regular basis. Build channels for marketing, sales, customer service, and product teams to collaborate and share visibility into customer pain points. To learn more, make sure you're avoiding these customer satisfaction survey mistakes. Customer Satisfaction Dropped in 2017. Here’s What Businesses Can Do About It in 2018.